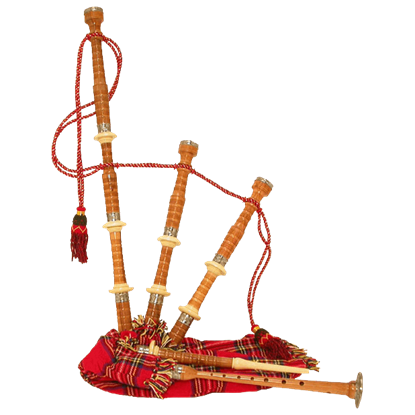 We have selected only the best, top quality, yet affordable traditional Scottish bagpipes to offer to you for your reenacting needs. Our bagpipes are made of beautiful woods, like cocus wood, blackwood, and rosewood, and have either black or tartan covers. Aside from the Scottish style, we also offer a few medieval style bagpipes along with many different practice chanters. 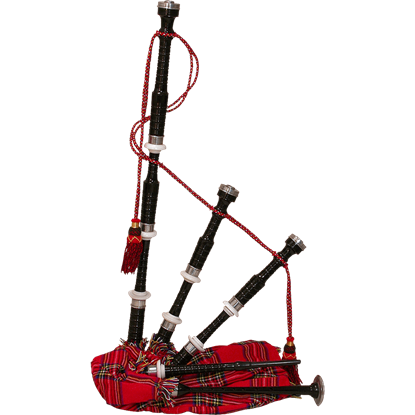 Practice chanters are great for practicing or learning how to play the bagpipe. Our practice chanters are available in the same types of wood and some even come with instructional books or CDs. And for the little ones, we have toy bagpipes, so they can play along with Mom and Dad. 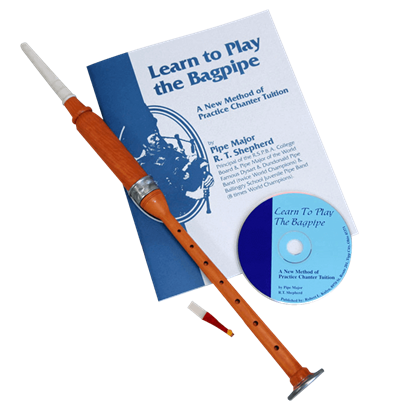 Our bagpipes come with everything you need to get started. 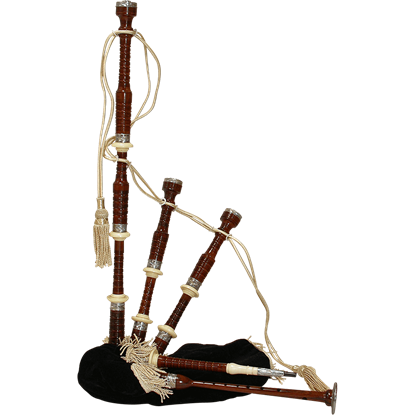 This fully functioning Scottish Bagpipe is made from fine Indian Rosewood with a black finish. The Black Rosewood Bagpipe with Tartan Cover features a Royal Stewart Tartan cover with turned nickeled ferrules and sole. 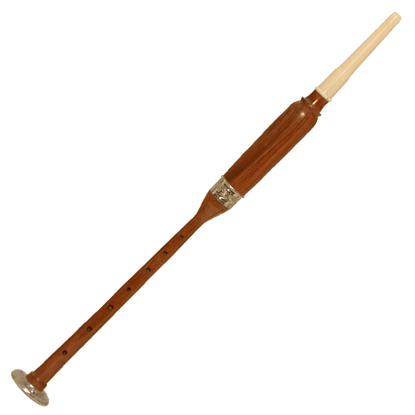 This traditional sized practice chanter has an engraved, nickeled ferrule and sole and is made from beautiful Cocus wood. It is in the key of B-flat. Played by itself, this is the first step to learning the bagpipes. 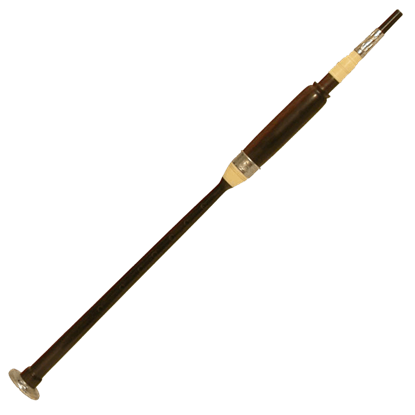 The Cocus Wood Practice Chanter is traditional in size and features a engraved nickeled ferrule, sole, and rosewood body. It includes a reed. Key of B-flat. Wood Grain may vary since wood is a natural material. This fully functioning Scottish Bagpipe is a great musical instrument, made from fine Ebony wood for a striking look. 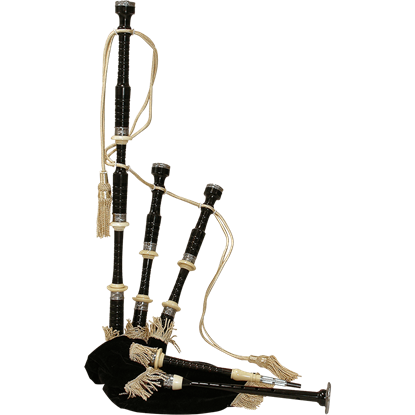 The Ebony Bagpipe with Black Velvet Cover features engraved ferrules and sole with imitation ivory mounts. This fully functioning Scottish Bagpipe is a great musical instrument, made from fine Ebony wood for a striking look. 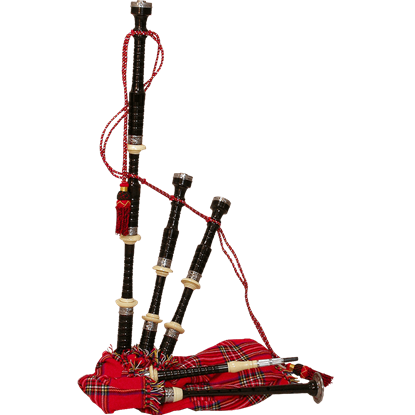 The Ebony Bagpipe with Red Tartan Cover features engraved ferrules and sole with imitation ivory mounts. This fully functioning Scottish Bagpipe is a great musical instrument, made from rosewood for a striking look. The Engraved Rosewood Bagpipe with Black Velvet Cover features engraved ferrules and sole with imitation ivory mounts. This fully functioning Scottish Bagpipe is a great musical instrument, made from rosewood for a striking look. The Engraved Rosewood Bagpipe with Tartan Cover features engraved ferrules and sole with imitation ivory mounts. This fully functioning half-sized Scottish Bagpipe is a great musical instrument, made from rosewood for a striking look. 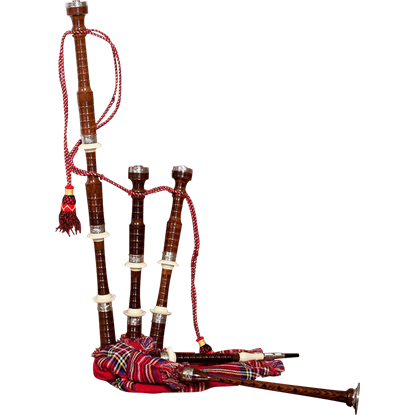 The Half Size Rosewood Bagpipe with Red Tartan Cover features a Royal Stewart Tartan pattern. The Long Blackwood Practice Chanter is traditional in size and features a engraved nickeled ferrule and rosewood body. When played by itself, this is the first step to learning the bagpipes. It includes a reed. 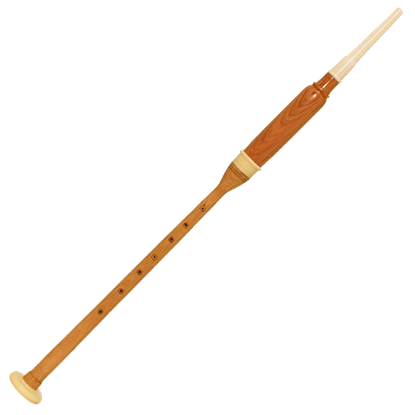 The Long Cocus Wood Practice Chanter is traditional in size and features an imitation ivory sole and cocus wood body. When played by itself, this is the first step to learning the bagpipes. It includes a reed. Key of B-flat. The Long Rosewood Practice Chanter is traditional in size and features an engraved nickeled ferrule, sole, and rosewood body. The finger spacing is a little larger than the shorter version, item BAGL. This fully functioning Scottish Bagpipe is a great musical instrument, made from rosewood for a striking look. 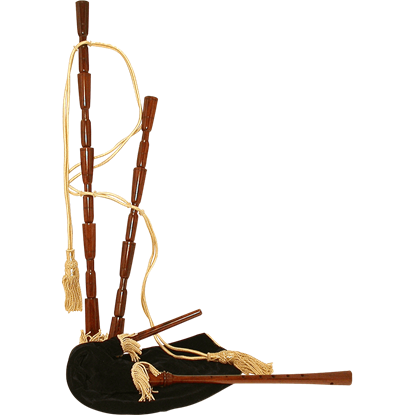 The Medieval Rosewood Bagpipe with Black Velvet Cover comes in a slim style without any mounts.